Eating out / Keeping up with Kids / Kids and Family / The Wife / To Eat or Not to Eat!? 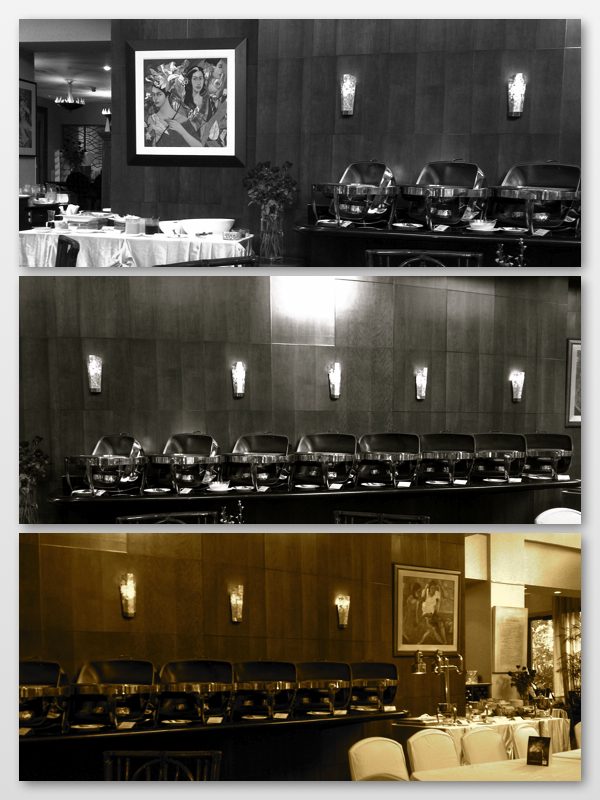 We celebrated Father’s Day with a lunch buffet at Chef Jessie at the Rockwell Club. I got an email from them showing their Father’s Day offer and I liked it. It seemed reasonable so I made reservations 2 days ahead. 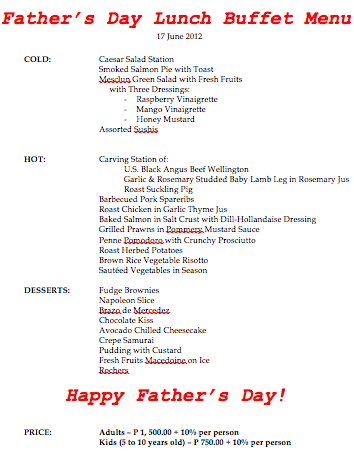 This is what they served for Father’s Day. The kids like running around the lobby of the Rockwell Club and like watching the view of the swimming pool & garden while eating. After lunch, we went to the mall ‘coz the kids wanted to go to Gymboree. But when we got there, it was closed. They’re transferring it outside the mall and will be replaced by the school of rock. So the kids decided to go to Toys R’ Us instead. 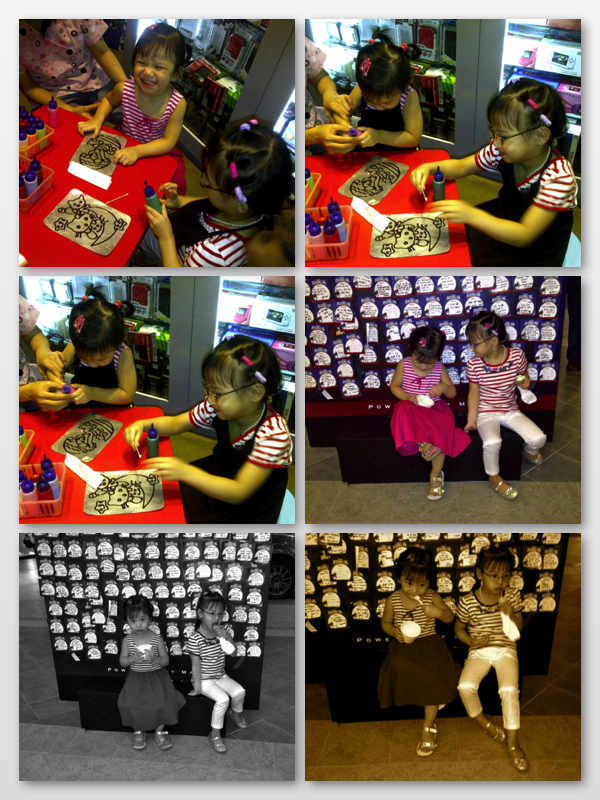 Kids had fun with their Art Activity in Toys R Us. Then they had Ice Cream before going home.